The week around the 22nd of October is a big whisky week for me. I like to buy in a few bottles – some of my favourites and some I haven’t tried before. For one reason or another I’ve not done this for a few years, so this year I went a big, I really splashed out. Not only did I buy my favourites, I bought some expensive ones, too. So this week, I have a Whisky Review a day. I’ll update this page as the week goes on with a contents list to add to the reviews that are already on here. An unusual whisky review from me. Famous Grouse is a blend. It’s perfectly possible to drink blends, of course, just not particularly preferable. Oddly, they’re running ads in July, and usually they keep their advertising for the run up to Christmas. 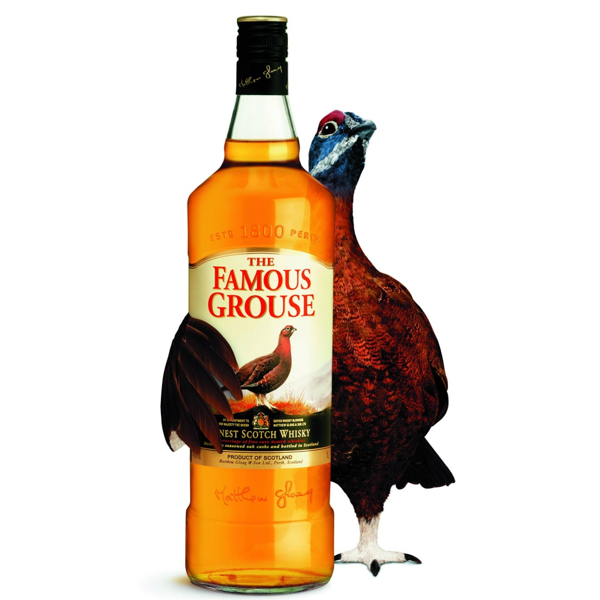 I’ve always rather liked FG’s advertising, with the grouse prancing around with far too much pomp for its standing. I wondered why they might be advertising now. Then was disappointed when I discovered they’ve just released a new ‘Ginger Grouse’, ginger beer. I mean, lovely for ginger beer drinkers. Crabbies are certainly doing well out of it, and I’m all for diversification. No, I was disappointed because I was looking forward to August 12th: The Glorious 12th, the start of the game season. There was a small part of me that was hoping the Grouse ads on the day would involve a Winchester, lead shot and an explosion of feathers.